Lock your doors. The message was strong, straightforward and imperative to personal safety. How to avoid becoming a victim was the message sent in a number of ways through the topics discussed at last week’s Senior Safety presentation. 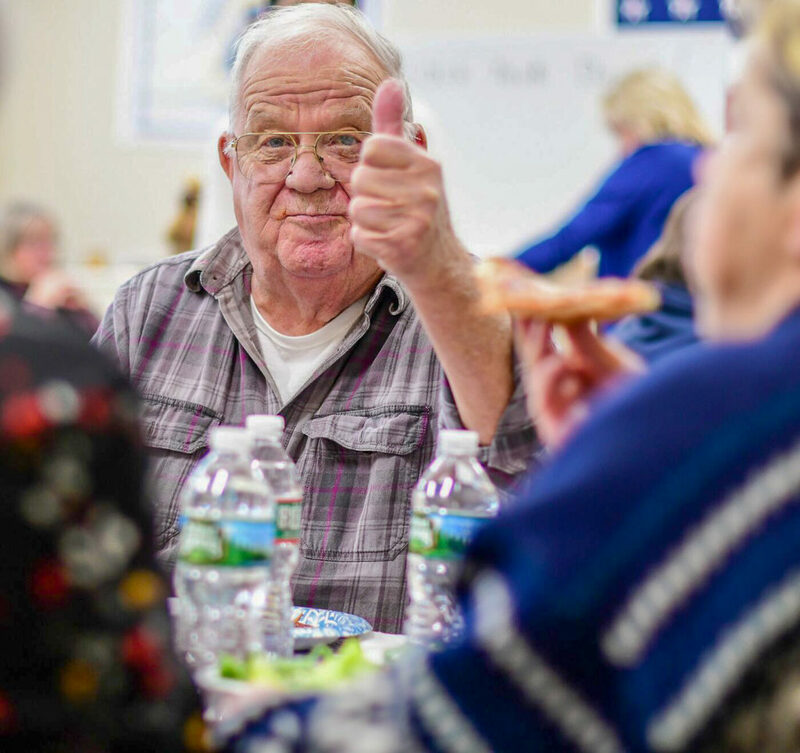 Plympton police officers Dana Smith, and Doug Mazzola, Carver TRIAD members, Plympton Council on Aging, and members of the Plympton fire department, all brought their expertise to help senior citizens avoid becoming victims. The messages at the luncheon held last week at the Plympton Town House were eye-opening for many who attended. Financial scams, not offering personal information on the telephone and being aware of exits in buildings and large crowds were several topics that were touched on at the assembly. Mazzola repeated the ‘see something say something’ phrase that has been adopted in this day and age when there can be questionable actions in everyday life. “If you are alerted to the sensation that something doesn’t feel right use your instincts,” he said. Plympton Fire Captain John Sjostedt III spoke about the upcoming changes to cell services. The regional call centers are now able to receive text messages for an emergency when there is no other way to communicate. Text 911 and include your physical address. Among other heavier topics were recent mass shootings, lockdown and shelter in place drills, and student and staff training exercises and strategies that Smith has practiced as resource officer at the Dennett Elementary School. “Creating distance by moving yourself away from an unsafe situation is the best option,” said Smith. Be aware of the exits when you are in a crowd. Know your location. He briefly shared his feelings on the Sandy Hook School shooting and drew on his experiences and knowledge that active shooter and safety drills afford to staff and students. Smith also offered effortless alternatives that everyone can use to avoid potential unsafe situations such as not using an ATM after dark. Locking the car door when you step away from the vehicle is a simple thing to do; thieves look for any opportunities and prevention can make all the difference. Smith also reminded the group to use their body language. Perception can send a strong message to a perpetrator. Carrying yourself with confident body language keeps you from appearing to be an easy target. Seniors came away with a new awareness of some of the safety issues that they might encounter and some valuable strategies to employ.